This week's "Meet the Merchant" featuring Historic Downtown Bristol business: Tri-Cities Escape Game! How did Tri-Cities Escape Game come about? We had been part of an escape game business in Morgantown, West Virginia, and had a desire to relocate to the Tri-Cities to be closer to family (in Atlanta, Chattanooga and Knoxville). Because we had lived in Abingdon 20 years ago, we were familiar with Bristol. In December of 2015, we visited the area, praying about where we wanted to open an escape game. After driving down State Street, we KNEW it had to be Bristol! We fell in love with downtown Bristol and have not been disappointed! We are so thankful to the Lord for the way He worked out every single detail, from our location to the folks He lined up to help us. Believe in Bristol has been a tremendous blessing — and all of the downtown merchants have been more than helpful and so welcoming. No, we are both Georgia natives. I, Kellie, am from the metro-Atlanta area. David is from Dalton, Georgia. We lived in Abingdon from 1995 to 1999 when David was associate pastor/youth minister of Abingdon Baptist Church and I worked with Jon Lundberg of The Corporate Image doing marketing and public relations. We moved away in 1999 and are so thankful that the Lord brought us back to the area. We have four children. We also have a dog named Maggie and a cat named Shadow. Favorite Bristol Restaurant: That’s a tough one! We’ve never eaten anywhere that we didn’t love indowntownBristol! The "1/2 as Much”combo at Burger Bar, fried asparagus at Stateline, the lunch counter at Broad Street on State, quiche’s at Bank Street, home cooking at Eatz, pizza at Little Italy, steaks at Whiskey Rebellion! You can’t go wrong when dining local! Sweet Tooth: Our kidshaveblazed a trail between the escape game and The Southern Churn! My personal favorite dessert is the brownie tower at Blackbird. David loves milkshakes from The Burger Bar. 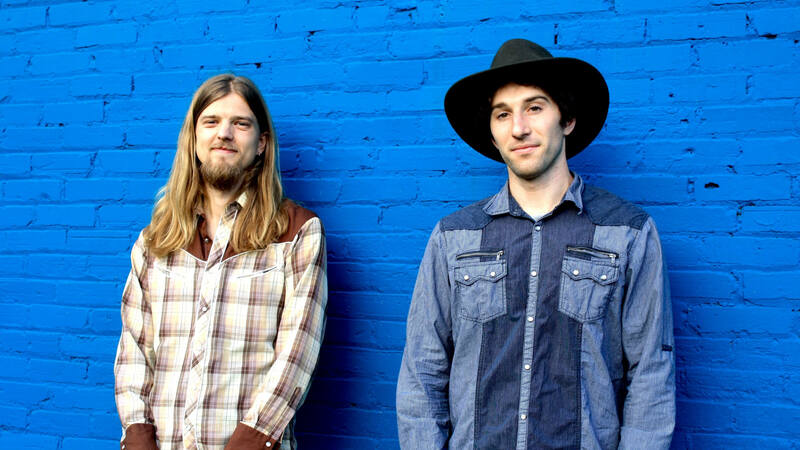 Redleg Husky is a country, bluegrass, and blues duo based in Asheville, North Carolina. 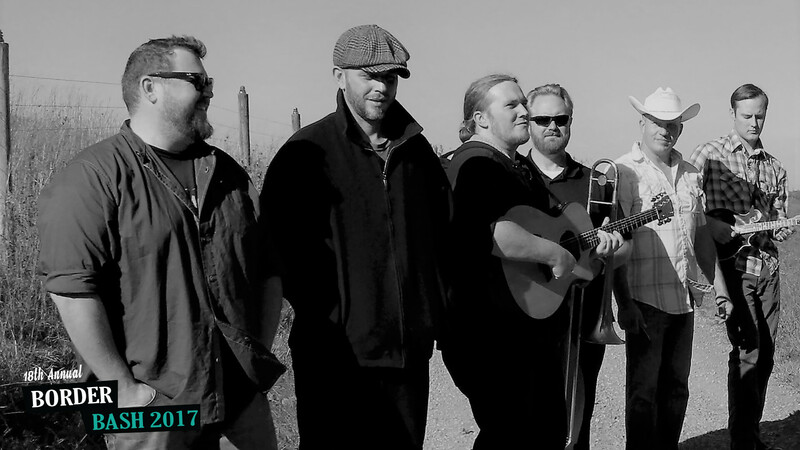 Since its inception in 2012, the band has been performing its unique blend of American music in barrooms, theaters, and festivals throughout the Southeast and beyond. In a special two-night event June 29th & 30th at the Paramount, Rock and Roll Hall of Famer Dave Mason will revisit his classic 1970 masterpiece Alone Together on his new Alone Together Again US tour. As one of America’s most beloved classic rock albums, Alone Together – Mason’s debut solo album – is represented on eight timeless tracks that are as satisfying and inspiring now as they were when they were released 46 years ago. The Alone Together Again show will include fan favorites like “All Along the Watchtower” and “Feelin’ Alright,” in addition to the album’s classic songs. Photos and firsthand autobiographical commentary will complement the guest experience, making this series of performances by a living classic rock legend of one of rock n roll history’s most significant albums a truly once-in-a-lifetime experience. 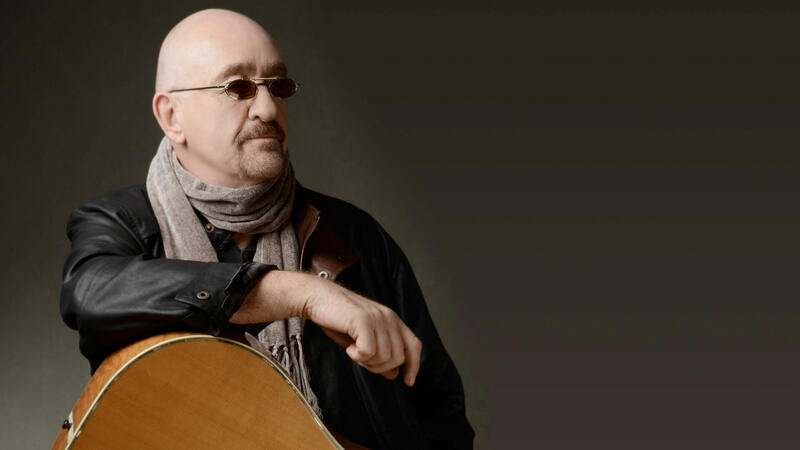 Best known for his soulful voice and unsurpassed guitar playing, Dave Mason was inducted into the Rock and Roll Hall of Fame as a founding member of the group Traffic, and continues performing as a solo artist with sold-out shows all over the world. His career spans several important rock eras, and encompasses his work as a producer, performer, songwriter, and consummate guitarist. 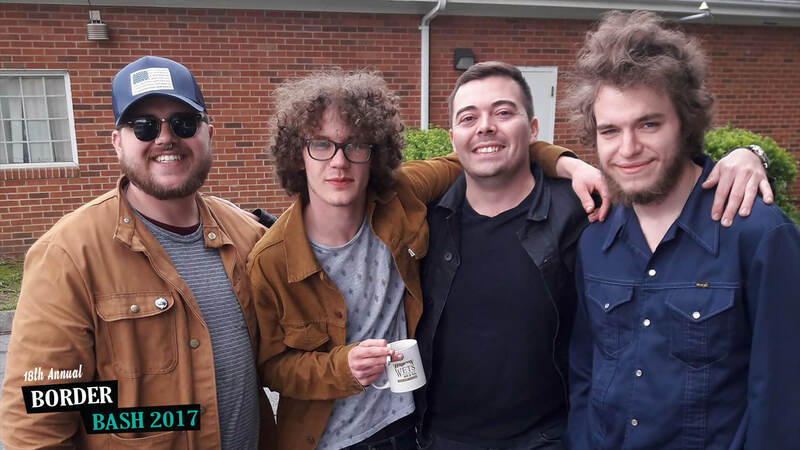 A quintessential rock star, Mason has collaborated with numerous members of music elite, including Jimi Hendrix, George Harrison, Paul McCartney, Stevie Wonder, Michael Jackson, Eric Clapton, and many more. Bristol Public Library is pleased to announce a brand new summer program: Classic Movie Corner! On the last Thursday of each month, BPL celebrates film with a special look back at classic movies. The June feature is Alfred Hitchcock’s classic, The Birds (1963). 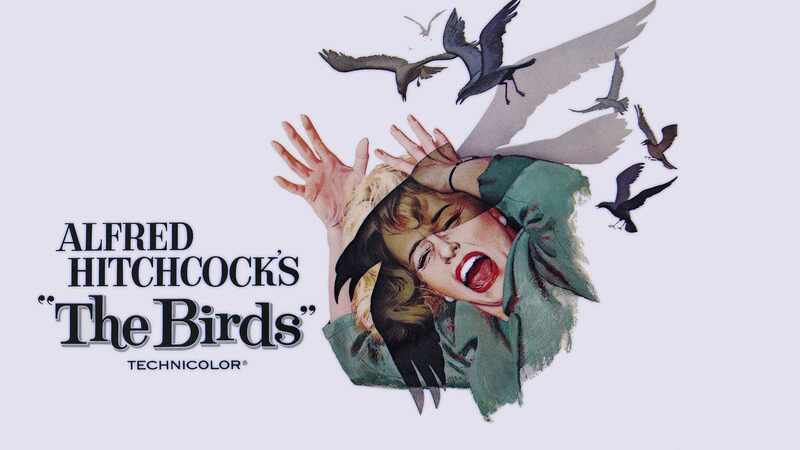 Starring Rod Taylor and Tippi Hedrin, The Birds starts off in an innocuous neighborhood in San Francisco. Wealthy socialite Melanie Daniels (Hendren) travels to a tiny fishing village in Northern California, a spur-of-the-moment trip to play an innocent trick on her not-quite-boyfriend Mitch Brenner (Taylor). But shortly after she arrives, Melanie finds herself caught in a bizarre and frightening disaster when local birds suddenly begin attacking people. The show begins at 5:30 on June 29 in the J. Henry Kegley Meeting Room. Popcorn and water will be provided for movie attendees. 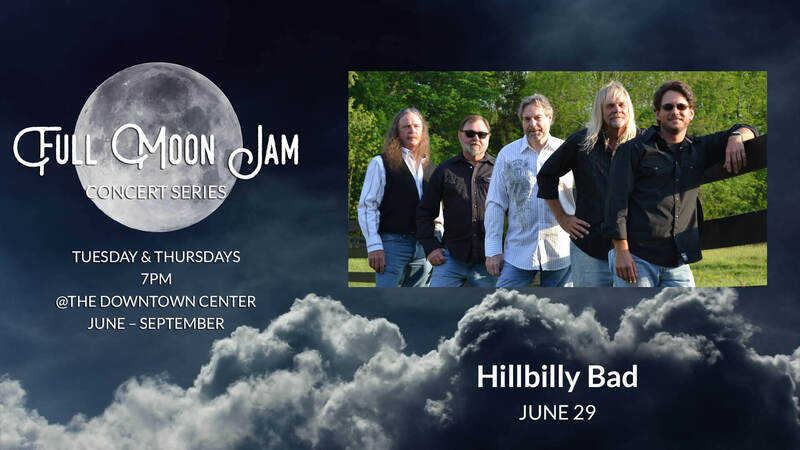 Hillbilly Bad is a professional five-piece band playing original and cover music focusing on providing high-quality entertainment. It is a mixture of Country and Rock or Crock, if you prefer. We will throw in a little Blues for some songs, making these some of our most enjoyable tunes. Combine these unique styles and you'll get some of the best Hillbilly Bad Blue Crock Music you've ever heard. 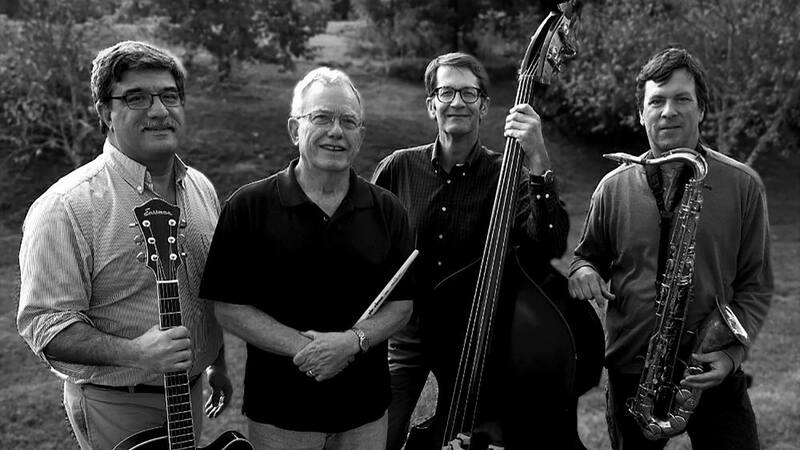 Wolf Hills Jazz Quartet is Tom Peterson, Ed Davis, Joe Pendergast, and Ernie Braganza. 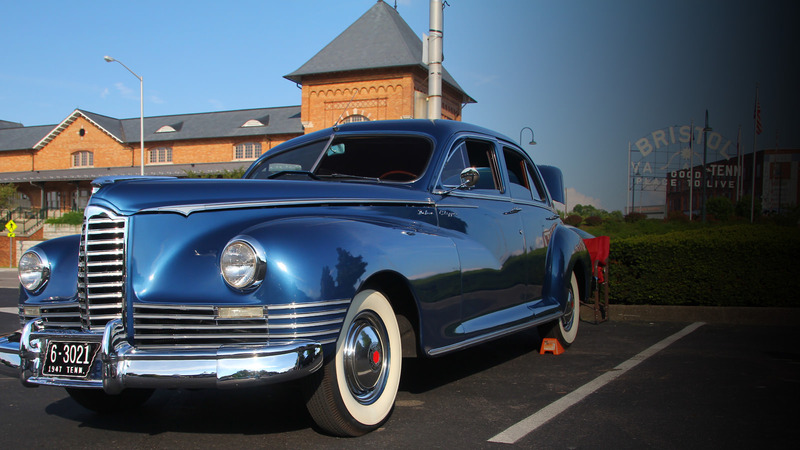 Come out to Historic Downtown Bristol on Friday, June 30th from 6 – 9pm for the AACA Antique Car Show in the HomeTrust Bank parking lot. 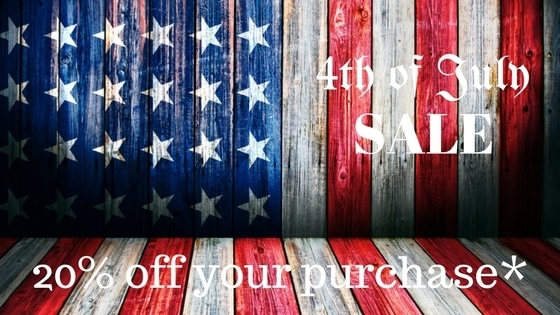 Show you patriotism and join in on the fun! Admission to the event is $10. Entitles you to vote for Top 10 vehicle awards. Bluesman and the Blues essentials is a group playing original music and personal interpretations of blues classics. 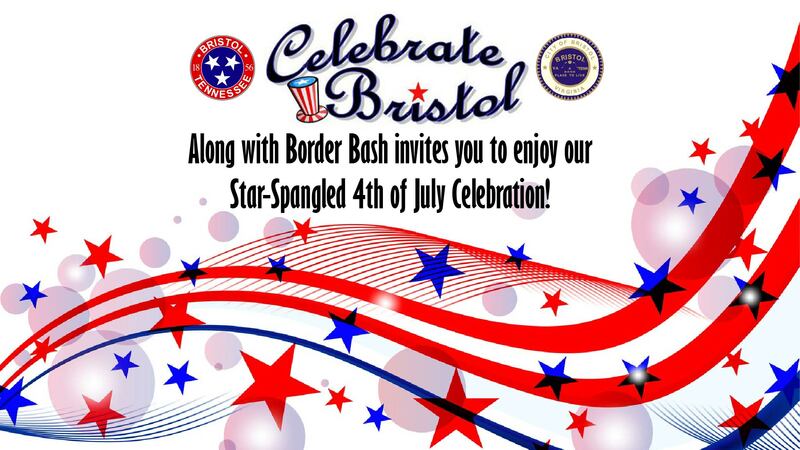 Celebrate Bristol along with Border Bash invites you to enjoy a Star-Spangled 4th of July celebration! Event to be held rain or shine! 3:00 PM: Parade Line-up on Morrison Blvd. 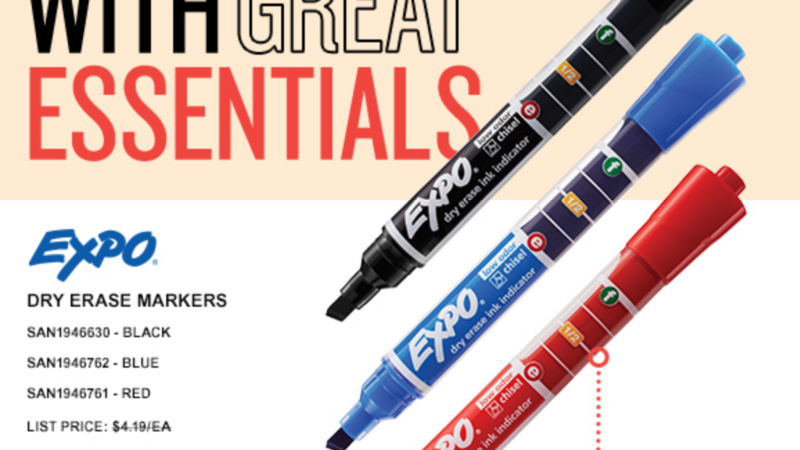 Inflatables, “Eating Contests”, and much more. 7:00 PM: Fritz & Co.
Fireworks begin at 10pm! Bring and blanket and enjoy the show! 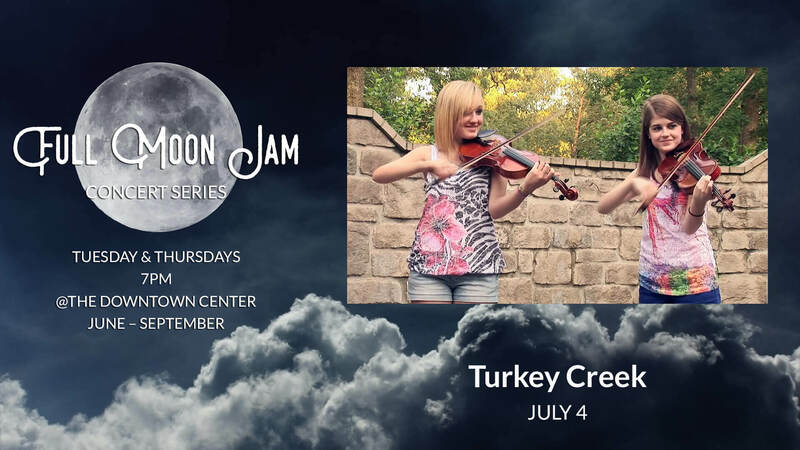 The Turkey Creek String Band is an exciting seven-person acoustic ensemble centered in Southern Middle Tennessee. Their repertoire consists of traditional fiddle tunes, folk, western swing, waltzes, bluegrass, and Irish jigs. Their unique triple and quadruple fiddle tunes add a flavor rarely seen in string bands. 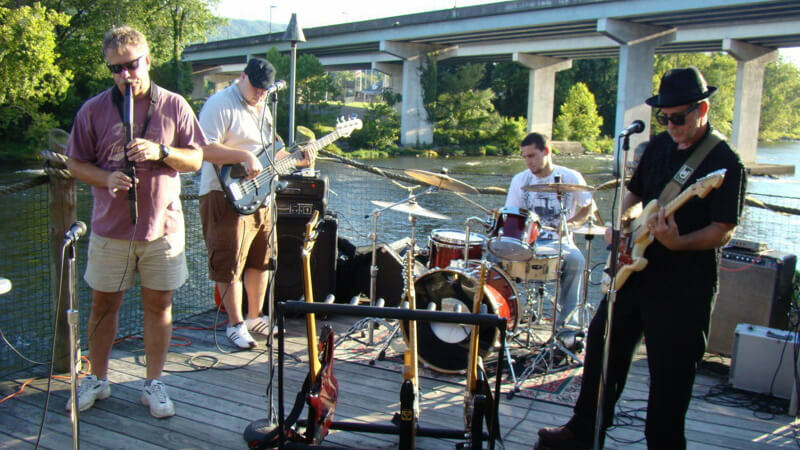 Border Bash: Fritz & Co.
Fritz & Co. is a four-piece nostalgic rock n' roll band from the border of Tennessee and Virginia. Logan Fritz has been writing and playing music for the past three years in the heart of the Blue Ridge Mountains. With an eclectic blend of archaic structure and modern liberation, Logan Fritz & Company captures the essence of American rock'n'roll with a modern twist.